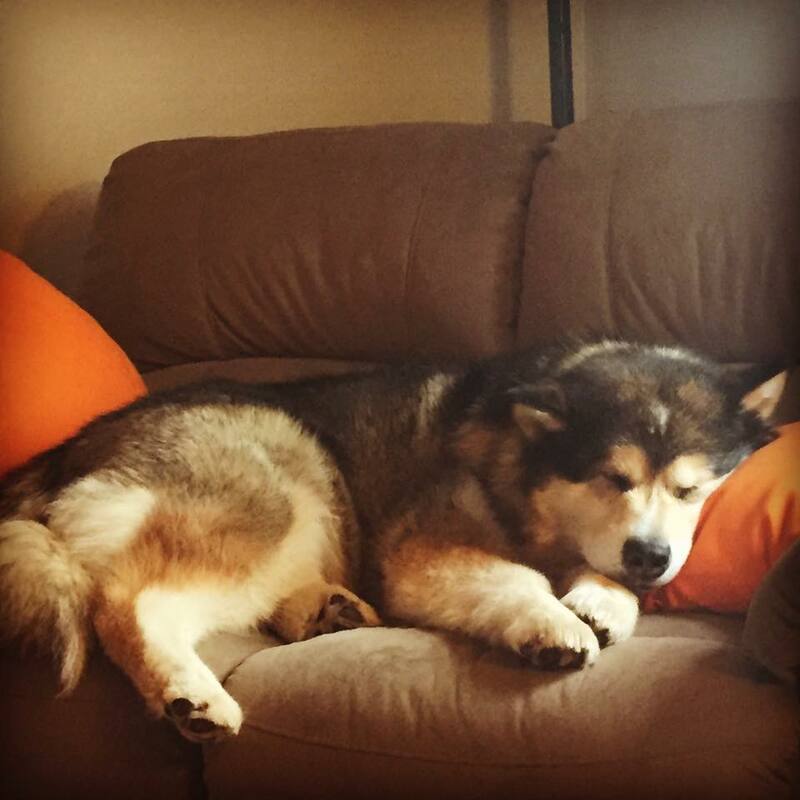 ​What to ask your Alaskan Malamute breeder? Do you register your puppies with CKC or AKC? If they are not, then they are not purebred, under Canadian law. Purebred dogs MUST be registered under a legitimate organization. Selling the puppies for less money with, or without papers, is illegal in Canada. Frequently, breeders will take two 'pets' which were sold so as to be specifically excluded from a breeding program, only to breed them together, to make puppies. The resulting puppies are not registered. What are the Alaskan Malamute parents like? It is not uncommon to not be able to meet the sire of the litter as they may live far away or may have been 'used' via frozen or chilled artificial insemination (AI). But the mother should be available. Unfortunately, some mothers may have died or become extremely ill while delivering the puppies - and it may be a legitimate reason why the mother is not available for viewing. Carefully watch their behavior with the puppies and with humans. Neither parent should normally be under 12 months of age, although accidental breedings do occur. The breeder however would be truthful about this from the beginning. What are the responsibilities of the Alaskan Malamute pet purchaser (you)? It is highly likely you, the purchaser, will have some obligations to follow, as per the breeders standards. Pets should be neutered or spayed, at reasonable ages and proof of such an occurrence might be required. Your breeder might ask you, or contractually obligate you, to X-ray for dysplasia or test for thyroid, eye, heart disorders when the Alaskan Malamute puppy is old enough. While these things do cost money (and the breeder might agree to pay for it) it also means they care about the 'pet' quality Alaskan Malamute puppies they are producing and not just the single 'show' quality dog they might be keeping. They want to know how the how litter turns out. Many breeders want their Mal puppies to go to 'indoor' homes instead of the kennel situations they keep their dogs in. What and how a breeder keeps their dogs, is far beyond the normal care and cost associated with one or two pets. Many breeders have heated indoor / outdoor kennels, heated water buckets, shift 'sets' of Malamutes from indoors to outdoors. If someone is not prepared to have their Mal puppy living with them, they probably are not prepared for owning a Malamute in the first place. What does the Alaskan Malamute breeder do with their dogs? They should be attending conformation shows or working their dogs. They probably belong to an all breed club, the Alaskan Malamute Club of Canada or the ﻿Alaskan Malamute Club﻿ of America or Alaskan Malamute Rescue. Ask to see their membership cards or certificates. They should be proud to show them. ANYONE can list on a Web site they BELONG to a club, whether or not they do. They should be able to show recent paperwork for either conformation championships (not necessarily the dog they bred from) or from working achievements, whether awards, or pictures. If the only visible thing you can see that breeder doing, is breeding, go elsewhere. They should also be able to provide a reference or two of happy buyers of their puppies, or possibly another breeder, or dog club member if they haven't been breeding much, or have few litters. - Do they have a waiting list? - At what age are the Alaskan Malamute puppies released to new homes? - Have the pups been vet checked? No dog is immune to all problems. Genetic screening limits the reproduction of health defects. Using properly-tempered dogs inhibits the production of poorly-tempered dogs. But nothing can be 'guaranteed' free of disease. It can however be warrantied against diseases, temperament issues, etc. What warranty is the breeder offering? They range from a monetary refund, or a replacement dog, to the return or euthanasia of the defective dog. Be clear on what the breeder offers in case your Alaskan Malamute puppy becomes affected with a disease. Generally, having to return your 'sick' pet, to secure a replacement or return of money, is an unacceptable practice, designed to specifically ensure you will not be using a warranty. Almost no one would part with a pet they have had for months or years for a few hundred dollars and the type of unscrupulous breeder who would offer it, knows it. ​It's nice for breeders to say they have healthy, sound dogs. And it's nicer if they can prove it. There is a multitude of health, working, obedience and conformation titles and tests available for Alaskan Malamutes - and any other breed. The Alaskan Malamute Club of America mandates all breeding stock should have its hips X-rayed for dysplasia and eyes certified clear by means of the Canine Eye Registry Foundation. Having a thyroid panel is recommended but not required. While breeders CAN breed dogs WITHOUT clearances (or failed clearances) this fact is to be disclosed to buyers. In the end, no one checks the breeders. Breeders are not monitored, made to perform the health checks or validated in any way. It is up to the buyer to determine who they would like to buy an Alaskan Malamute puppy from and the level of credentials and legitimacy that breeder is using. Once a Malamute has completed (not necessarily passed), their hip and eye testing, they are eligible to receive a Canine Health Registry Number. They DO NOT however need to pass any of the tests to receive the number. So it's up to the buyer to check the actual certificate numbers to see if the dog DID pass the tests. Buyers of puppies FAIL to check, or even ask, at every opportunity. OFA provides breeders space, in some cases free, to post the results of their health testing results, though not all breeders post it online. Those breeders would have photocopies, scans or even original certificates for you to view. A number of DNA tests are also available. In those cases they register as CLEAR or CARRIER or AFFECTED. Not all AFFECTEDS, for all diseases, actually develop the disease. ​Often when potential puppy purchasers hear these two classifications they feel that perhaps they will be getting an inferior dog if they ask for a pet. To a reputable breeder, the terms mean something different. It would be to the breeder's advantage if every pup were a show prospect, but that doesn't work out in percentages. It is more likely that the litter will turn out to be all pet than all show. A pet has the same number of legs as the show dog, it is put together with the same number of bones, has a noise maker just under its nose, and is of GOOD HEALTH AND TEMPERAMENT just like the showdog! So what's the big deal? Different breeders will weigh "imperfection" differently.What will bother one terribly will be okay with another. This is when knowledge of the breed standard and a sound breeding program come into play. In the case of the Alaskan Malamute there are numerous areas to consider that can turn a prospective show puppy into a wonderful pet. a) one or both testicles undescended (definetely a pet, all breeds. Some breeders are not willing to make a decision on pet quality or show quality on an 8 week old puppy. If you are interested in a show puppy it is important to discuss this topic with your breeder.